One of the best parts of an estate planning attorney’s job is answering client questions. It’s an essential part of the estate planning process so we’ve outlined some of your questions below. This is part II in our three part estate planning question series. Do I have to leave my children an inheritance? No, even minor children are not legally entitled to an inheritance. Many would argue that there is a moral obligation to leave funds for the care of minor children. If you choose not to ensure funds for the care of minor children, they may be placed into foster care. Special steps must be taken to properly disinherit a child or spouse. How can I show my children that I love them after I die? Ah, there are many ways to show your children you love them. First of all, ensure that there are adequate funds for their care. Then, both love letters, explaining how your child has affected your life, and sentimental gifts will be treasured for a lifetime and, likely, passed down to your grandchildren. I want to stay in control of my finances? A fully funded revocable living trust will keep you in control. So long as you are alive and well, you remain in management of day to day finances and business affairs. 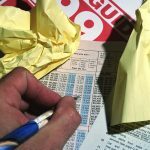 If you become disabled and when you die, you remain in control of your finances by leaving specific instructions regarding how you want your finances to be handled. You also hand pick trustees to follow your instructions. Can I protect the inheritance I give to my children? Yes, if you give the inheritance in a asset protected trust. Do not give the inheritance outright or include terms that mandate distributions at specific times. In addition, be sure to insist that if your child is serving as trustee of his or her own trust, your child serves with a co-trustee. 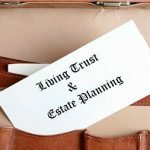 Be sure to bring all of your estate planning questions to an experienced and qualified estate planning attorney.